I have been having a great time helping Morgan (The Crafty Squirrel) create some fabulous projects using her collection of vintage sheets. 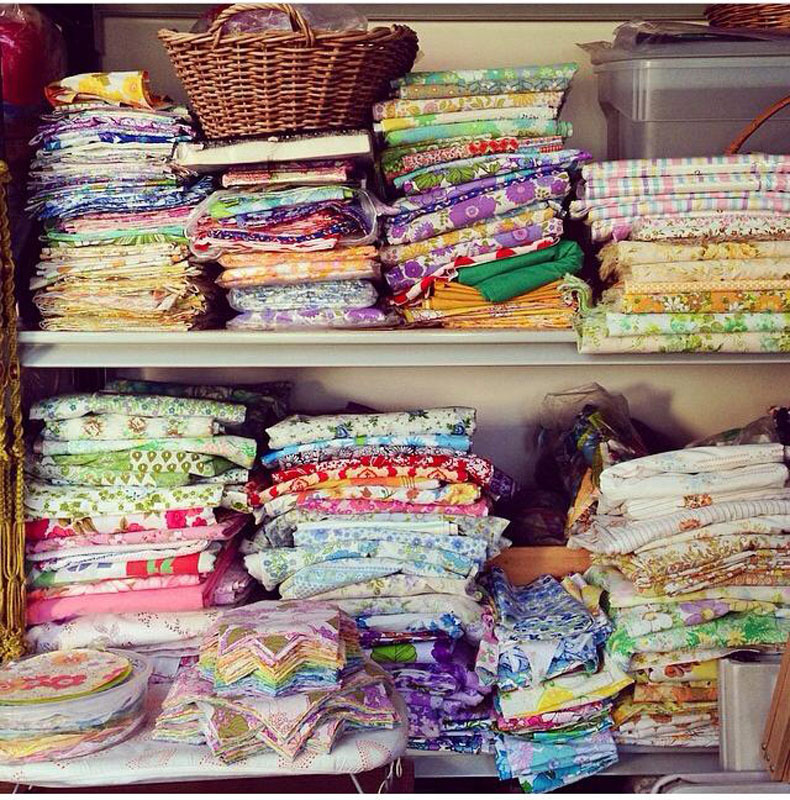 Morgan has been collection Vintage sheets for years and thats why she has such a fabulous collection to work with. 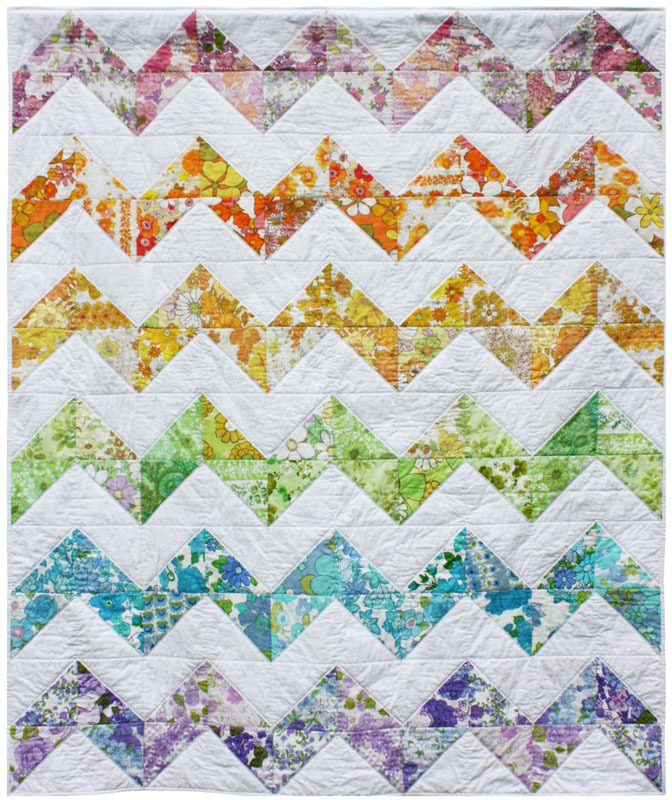 The first two project were of course quilts! This kits includes all the fabric, already pre-cut for to get sewing straight away including binding and the pattern. 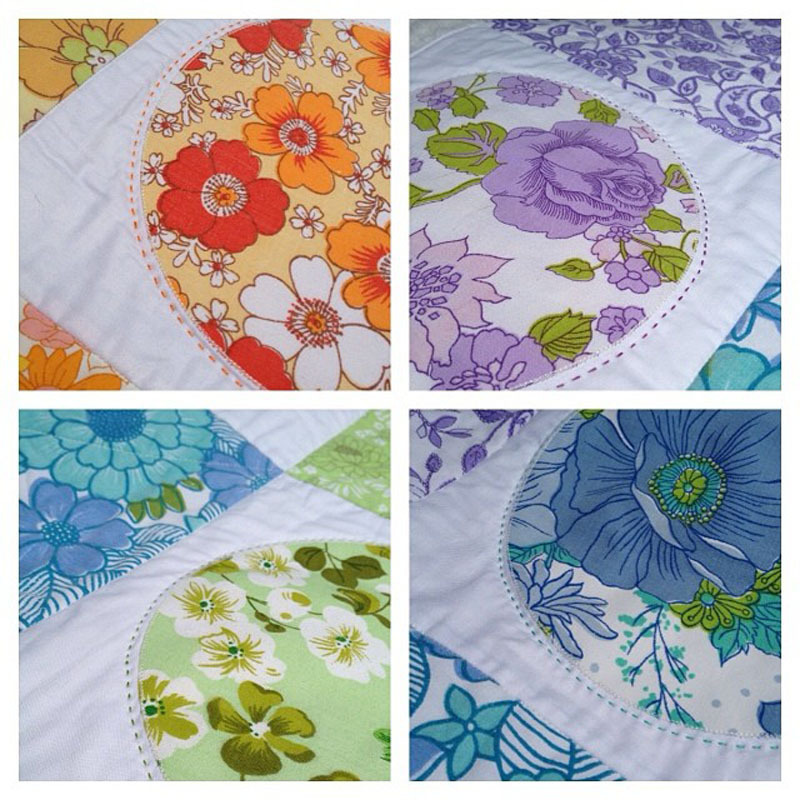 Vintage Circles and Squares Quilt Kit. The finished quilt will measure approx. : 152cms x 178cms (60" x 70"). All the fabric is precut in this quilt too. The circles already have fusible webbing attached to the back of the circles so you can start straight away. 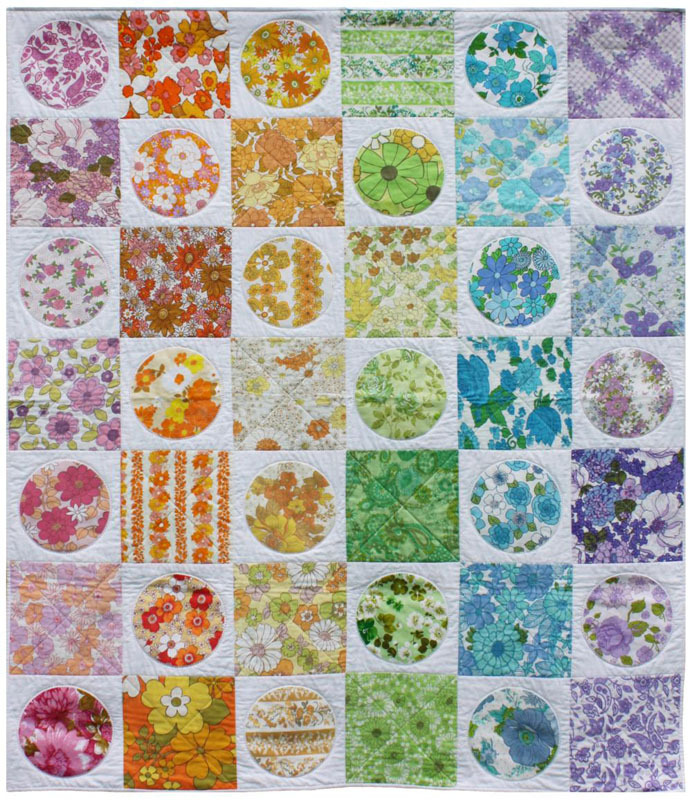 The circles in this quilt have been stiched down using the raw edge applique method. I then did some hand quilting in maching colours using perle 8 cotton. 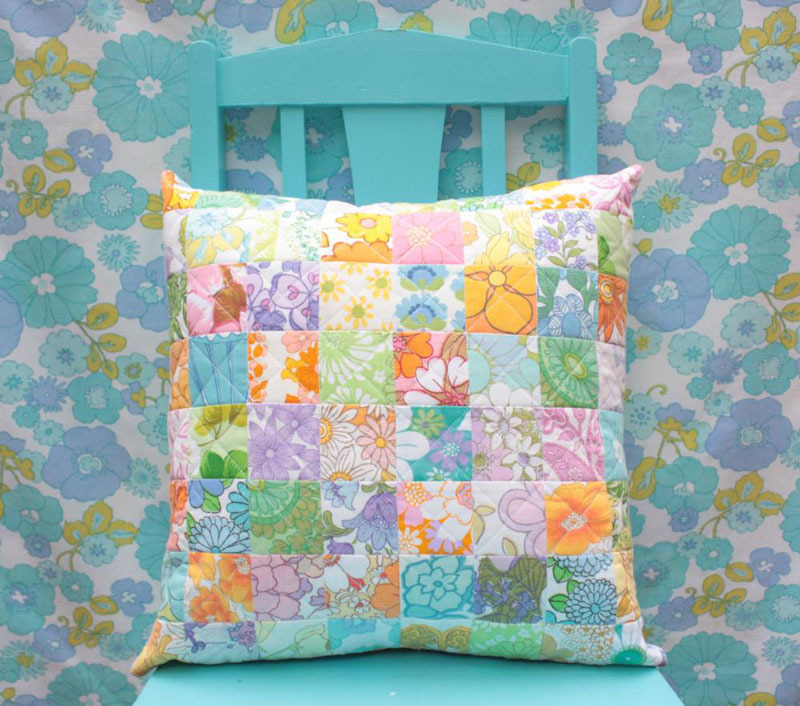 We also came up with a cushion project using pre-cut squares of vintage sheet fabrics. 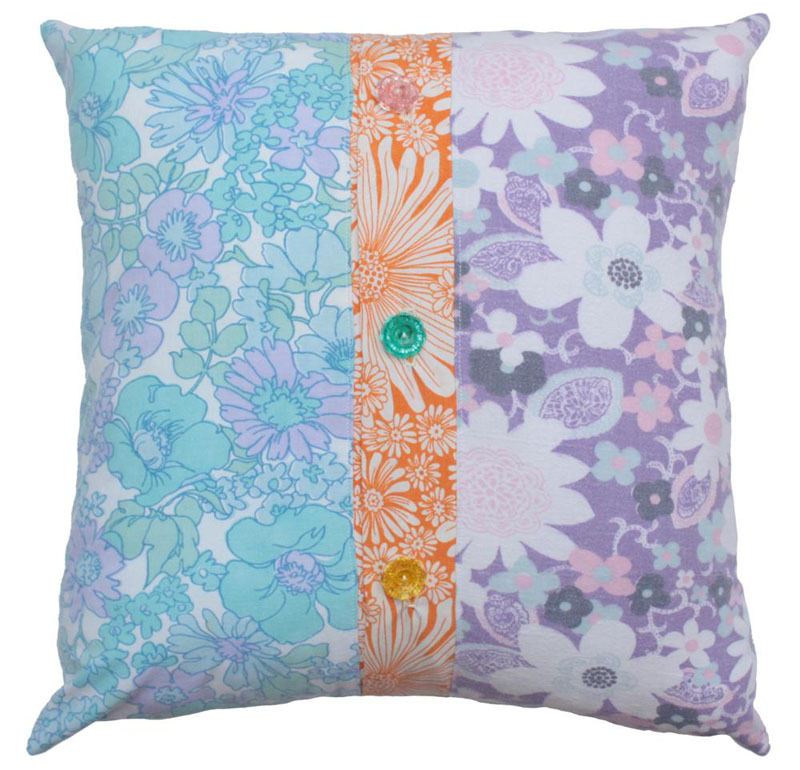 This kits includes all the fabric, including the backing, a piece of cotton batting for quilting and 3 vintage buttons. We hope you like our vinatge inspired projects. You can purchase them all from The Crafty Squirrel, in store or online! Helen F: Emma would you believe I still have "TWO" sets of those sheets from sheriden in the yellow/orange designs. I bought them for my "glory box" back in 1972!!!! Your email will not be displayed. Just making sure you are not a spam bot.